Coral began operation at English greyhound courses over 80 ago and is not offers in-play wagering on live events and betting on virtual sporting events. The Gala Coral Group is also a leading operator in the bingo market in parlours and online. Strong core horse and greyhound racing business. Rewards and promotions for regular players. Flawless reputation backed by decades of experience. Live streaming in multi-view mode. Up to £ 50 Bonus for Games! 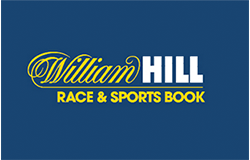 Below you can find some quick links to navigate around the article about Coral Sportsbook. Joe Coral used borrowed money to start making book at British greyhound courses in 1926. When off-course betting shops were legalised in England in 1960 Coral was one of the first to take punter action, building a reputation for laying large commissions in its 1,700+ shops. The company is now the third largest bookmaker in the United Kingdom and its sister operation, Gala Bingo, is the leading card-and-ball game in the country. The Gala Coral Group has brought its vast gambling experience to the online community with a virtual casino and poker room. Fast sign-ups and fast action. Live commentaries on Coral radio. After registering with Coral and making a €5 win bet a €20 free bet is triggered. The first bet must be made within 14 days of starting and account and the free welcome bet token will expire after seven days. 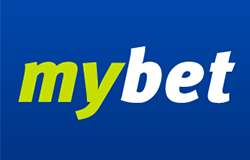 Mobile bonus: Free £20 Bet for all new mobile customers. The Coral gaming app, downloadable to iPhones and Android devices, gives punters on-the-go access to betting in-play on thousands of events and over 50 fast-action gaming titles. 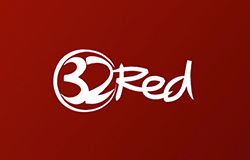 Enjoy live-horse racing streaming across the UK and Ireland on your hand-held device. Deposits and withdrawals are a tap away and the walk-in-the-door bonus is applicable to mobile users. Register to Coral Sportsbook and start playing from your mobile! Coral offers a full suite of mobile apps for casino players, including a Live Casino app on iPhone and iPad for real-time roulette, blackjack and baccarat action. The Coral Spin Casino app brings six favourite table games to mobile and the Coral Football Jackpot app offers a chance at €100,000 each week by predicting correctly the outcome of 15 matches. Mobile poker is available in HTML5. Coming from a sports betting foundation, Coral took awhile finding its racing stride with online casino games but has now partnered with many of the top gaming developers to modernise its virtual casino floor with nearly 600 games on offer. Poker begins with tips at the Coral Poker School and advances to over 30 free tournaments every day. 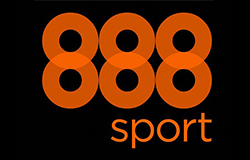 Coral Sportsbook offers the following extra services in addition to their sportsbook. Coral Sportsbook supports the following languages. 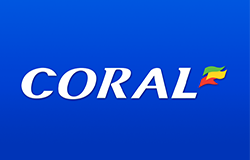 Coral is one of the great legacy names in British bookmaking and they have brought their core experience in betting at the track and in gambling shops online. 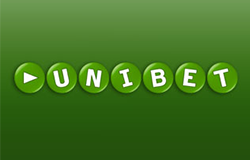 They also understand the importance of customer service and keeping loyal players happy with innovative odds and bonuses.